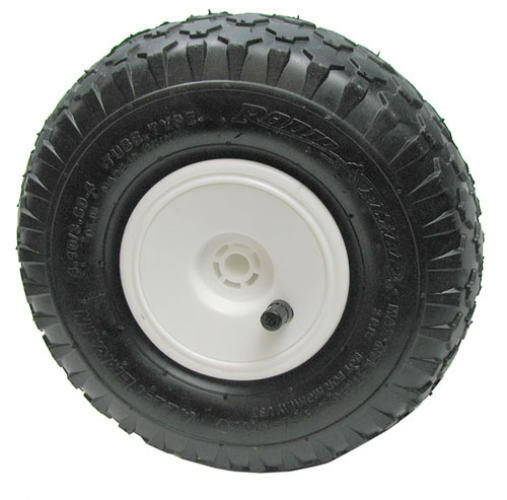 For your riding comfort, this 9-5/8" dia x 3" wide pneumatic tire has a plastic hub, rubber treads and a 25psi inner tube. 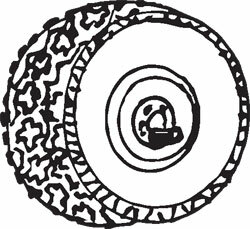 Has a 1/2” ID with a 1-1/4” dia x 15/16” axle hub on the inside face and a standard Schrader air valve on the outer. 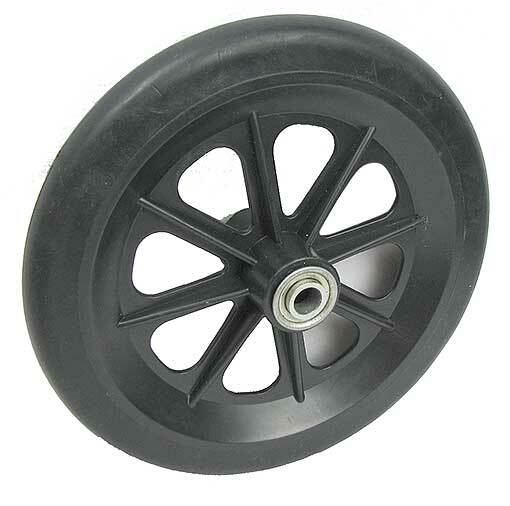 Great for DIY large wagons, or to replace those little hand truck tires.